SCCA - I Say Ding Dong Shop - Buy Stickers, Decals & Unique Automobilia. L&M Championship SCCA Sticker. 4". Road Atlanta Oblong Black & Clear Sticker. 4.5". 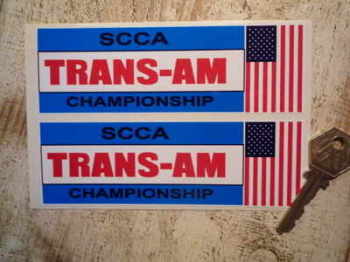 SCCA Trans-Am Championship Stickers. 5" or 5.5" Pair. 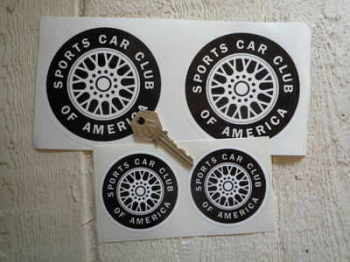 SCCA Wheel Stickers. 2.5", 4" or 5" Pair. 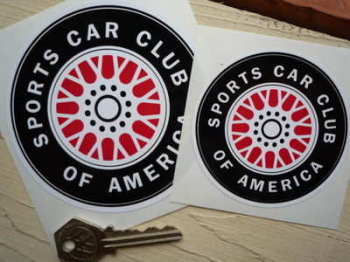 Sports Car Club of America, L&M Continental 5000 Championship Sticker. 3.5". Sports Car Club SCCA American Road Race of Champions Atlanta Sticker. 1970. 4.5". Sports Car Club SCCA American Road Race of Champions Atlanta Sticker. Various Years. 3.5".